Well done to Red and Min and Kyle also. We know Kyle especially will be locked down by those Flamers wanting more and more of his awesome creations so we will have to make him up a quick take-away so he can get back to it! Thank you for making me laugh out loud this morning. And naturally we need to thank Red and Min. Not only are they amazing mods but they go beyond their duty. So Thank you! Congrats Min, Red, Kyle. All well deserved. Congrats to all the Flamies winners! And massive congrats to all the prize winners. Weta once again delivers amazing prizes. Thanks to all the mods who have once again put on a great show! Time for me to crack and beer and start celebrating! Winning almost half of all the votes in a year that saw the release of so many fan favourites (Haldir, Éomer on Firefoot, Thranduil on Elk, to name a few), is a feat on its own. 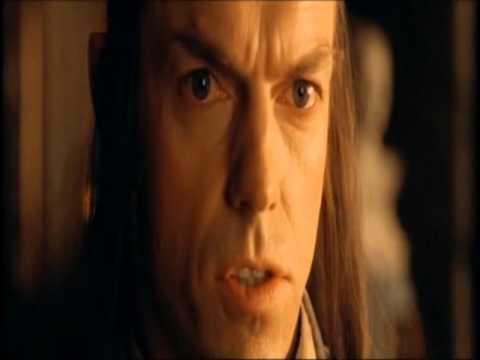 Daniel Cockersell expertly captured - well, everything about this scene: Isildur's likeness is spot on, his awed expression, already fixated by the One Ring, plain for us all to read. His armour is detailed to a level that we haven't seen before. This statue is so good that you almost don't notice that big ol' helm of Sauron lying there. Oh, and this statue also features Narsil AND the One Ring. That's just about as epic as it gets. Which is why, of all the statues that Weta released in 2018, this was the hardest for me to have to pass up. 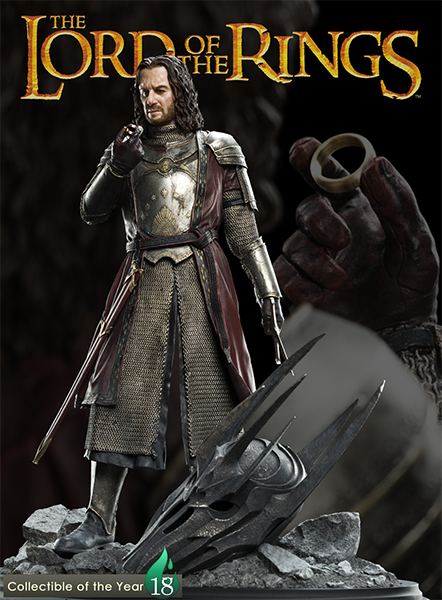 So without further ado, I present to you the Weta Middle-earth Collectible of the Year, the Isildur 1:6 statue by Daniel Cockersell! Well done Min - always very proud. Thanks so much Vick. People like you make it so easy. Men are weak but the Poly is strong. Glad to own this beauty. Last edited by Red; 24th February 2019, 23:10. Not surprised Isildur won. That thing is freaking amazing. My vote went to Eomer but I can’t say I disagree with the results. Congrats to all the winners!!! And thanks to Red for the contest! Congrats to everyone!!! This is my first time joining the Flamies! I must say.. its damn exciting! Kept me awake for hours! Congratulations on winning the Giveaway of the year Red. The tribe has spoken and they chose right! It was a lot of fun watching and reading how different members where having difficulties with some of the statues, and not just the naming of them but locating them as well. Which included me, until I hit the Ctrl+ and enlarged the picture so that these old eyes could see around the corner of said display case. In case members have not noticed I always enjoy the giveaways in which some fun of finding, answering or being creative has a part in how one enters. A very generous giveaway as well. A very deserved win. Wow, to receive Good Samaritan, what an honour, especially when I look to see the other nominees, every single one of them deserves this award. Red, thank you for stopping where you did, tissues were already being required as it was. I want to thank you all for making this a place I love to come to, one that I feel very comfortable in, one that I have made many good friends in. All which started off as 'cyber friends' and have them become personal friends as I have met them in person. There are still so many I would love to be able to met and have an ice cold ice tea with, hopefully some day my list of physically meeting more of you will grow, as I have yet to meet a Flamer that I don't like. I know I have said it before, but this place would not be what it is without all of you. May the Flame live on for a very long time to come.